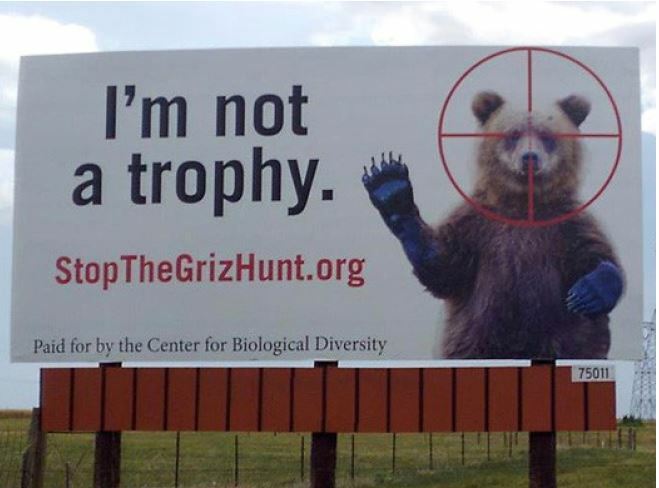 The “I’m not a trophy” Grizzly Bear billboard out West reminds us of an important point: billboards are a valued platform for environmental messaging. The Center for Biological Diversity put billboards in three Western states to express its views on trophy hunting. 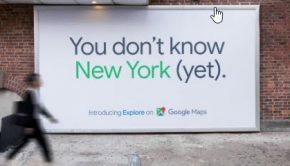 The group says its billboards would reach a million people. 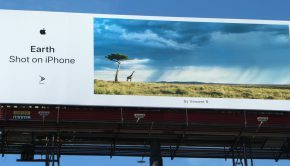 The Sierra Club is a longtime user of out of home (OOH) advertising to promote clean air. 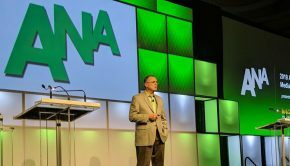 These examples in Indiana show billboards’ connection to grassroots involvement. University students, the Sierra Club and community leaders from around the state unveiled an ad campaign in Muncie targeting the Indiana-Michigan Power service territory. Local environmental groups rely on billboards as well. Friends for a Beautiful Grand Haven unveiled a billboard a year ago, touting renewable energy. In Nova Scotia, starting in March, the Margaree Environmental Association posted billboards opposing clear cutting due to loss of bird nests. 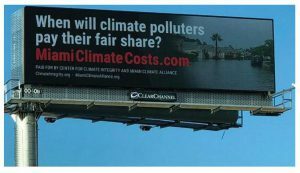 This year, the Miami Climate Alliance and the National Center for Climate Integrity bought five billboards in the Miami market to express their view that energy and utility companies should pay for infrastructure necessitated by climate change. 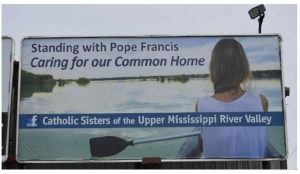 Nuns bought 20 billboards in Iowa, Illinois, and Wisconsin to express support for Pope Francis’ call to protect the earth. 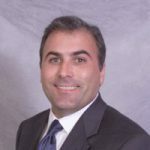 Working with the National Resources Defense Council and The Ad Council, Save the Food San Diego posted public service messages to reduce food waste. Originally posted to Billboard Insider.